This past year has been wonderful and really hard all at the same time. Living in a hotel for a month while we waited to find out if my husband's job in San Diego was going to work out was not my favorite part, but I have lots of happy memories from this year and we are so happy where we are that 2013 was definitely a great year. This past year inluded opportunities that I didn't even know existed and it has allowed me to push myself into trying new things. I am so grateful for everyone who reads and comments on my posts. I remember when I started this blog and I thought that if one day I could reach 500 followers that would be amazing. It seemed unattainable. Thank you so much. I don't want to set goals for myself for this coming year because I want to leave myself open to new projects. My main goal is just to keep starting projects that interest me and then (and this is the important part) finish them. I am finishing off this year without any WIPs on the sidelines, just a couple of current projects, and I hope to finish 2014 the same way. In January I will be celebrating a big birthday and I am approaching 1500 Bloglovin followers so watch for a thank-you-for-being-amazing giveaway soon. I hope you all have a happy new year! 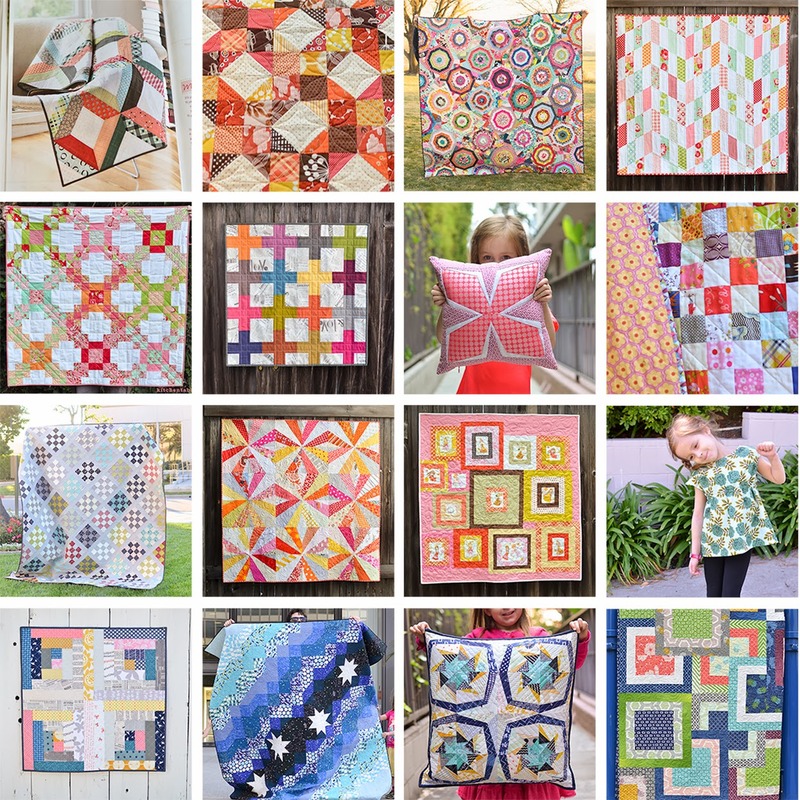 Wow what beautiful quilts you made! what website did you use for your mosaic? 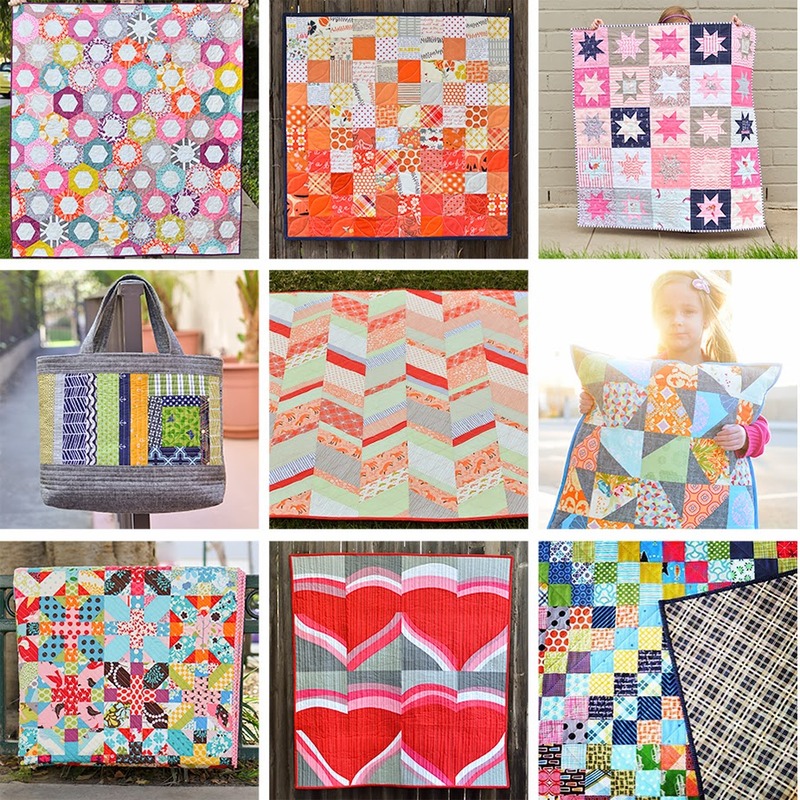 you have made some stunning, amazing quilts this year! Can't wait to see what you make in 2014. Beautiful made altogether! Love your work. Looking forward to seeing more in 2014! Have a good year Erica! Beautiful, beautiful work. I just love your style and seeing every.thing you make! To more unexpected in 2014! Fantastic! You have many beautiful finishes and I applaud you on having no WIP to finish up. All the best in 2014!! I am brand new to your site, and I'm amazed at your beautiful work. My grandmother was a quilter, and it's always been my intention to try it "someday". I will be 66 next week, and because of the inspiration of your lovely work, and in honor of my dear Mamaw, I'm making 2014 my year to make a quilt. It may not be a huge one, or an exquisite one like yours, but it will be a start. Thanks for inspiring me to try. You've been so productive, especially with a move this year! Beautiful work..look forward to seeing what you create in 2014! I've popped in on the recommendation of Debbie! Your work is indeed inspiring! Il be back often to visit! So many gorgeous projects made - congratulations! Looking forward to seeing what you get up to in 2014. Your work is amazing and your children are adorable!